The only way to become stronger at biology is to make your concepts crystal clear. DO NOT leave any topic, any line, any word of NCERT unturned. You have to learn biology NCERT by heart and revise it at-least 10 times in a year and 3–4 times when only 2 months are left. 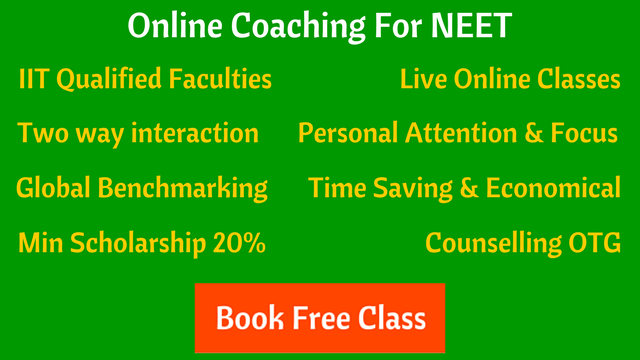 In order to make your concepts clear you can also study from your coaching modules because sometimes NCERT lines are confusing too and to understand NCERT you have to go through your notes as well, but always remember there will be about 75 questions coming directly from NCERT. Ignoring NCERT over coaching modules is the easiest way to lose marks in biology! The best-est way to get more than 300 marks in biology is to make your own handwritten notes in which you can make flow charts and shortcuts to learn important topics especially Krebs cycle, Glycolysis pathway etc. The most important units which will set a base in your preparation are Human physiology, Plant physiology, Ecology, Genetics and Morphology of plants. Also in few units like Ecology, Plant physiology, Diversity in living world, Biology in human welfare and Biotechnology, not even a single word outside NCERT is asked. So study these units only and only from NCERT! After you are done revising a chapter, see the previous year questions of at-least 10 years to know the trend and the type of questions asked from a chapter. This will help you to test how much you remember about the chapter and will help you to work on your weak points. Going through the previous years questions is a MUST. It helps a lot in your preparation. Plus one last thing which most people ignore is practicing MCQ’s. Practicing is equally important in Biology as it is in Physics and Chemistry. Trust me, in the exam hall there are more chances of you not remembering what you read than remembering what you practiced. It has happened with me a lot. I may not remember a full chapter but I always remember the questions I practiced and the questions in which I had lost marks. Even in NEET, there were a hell lot of questions which I directly knew because of my mass practice of questions in biology. But DO NOT attempt questions until you are fully prepared and have revised the chapter thoroughly. The best book to practice biology is NCERT At Your Fingertips. Even if you don’t buy a book or so, practicing all previous year questions and giving all your coaching institute tests would be enough. If you get extra time you can always practice more questions. This book I am particularly telling because in it they have divided the questions very effectively to analyze your skills plus it is wholly based on NCERT. Read NCERT very very thoroughly. Make your own notes (which will help you in the end days when there is no time left to revise the whole book). Practice Practice and more Practice (most importantly Previous Year Questions). Shweta is a student of Govt Medical College Chandigarh. She is an avid reader and a dreamer. She likes to write about NEET and medical entrances.